We are pleased to announce the Hobie Asian Championship will take place in Hong Kong from September 27 to Oct 1, 2018, at Tai Tam Bay , the southern side of Hong Kong Island, Asia World’s City. Whether you are planning to join the competition in this 3 days racing event or a family getaway, Hong Kong offers a vibrant and cosmopolitan lifestyle, featuring a unique blend of East and West with its cultural fusion and diversity. 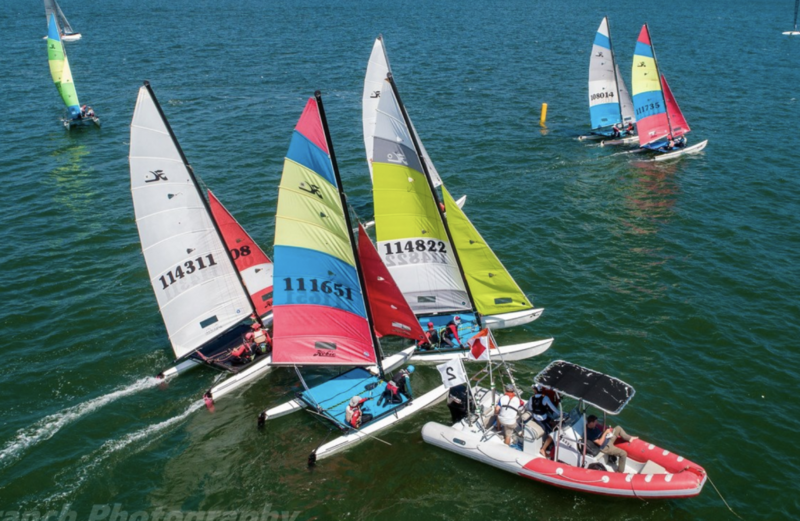 Hong Kong Hobie Club is pleased to host this annual event at To Tei Wan , where the Hong Kong Hobie Club is located, and just few minutes away from Stanley Market – the quaint village of Stanley and a huge hit with locals, expats and tourists for good reasons. After scorching summer and occasionally Typhoon , end of September is perfect for sailing regatta. Weather condition is normally fine and sunny, 20 – 30o C, little or no rain, 10 -25 knots of northeast monsoon allowing double trapezing constantly. Overseas competitors from Japan, Thailand, Taiwan, and China have committed to participate , including former Asia Games medalists – Damrongsak Vongtim from Thailand and Tong Yue Shing from Hong Kong and more competitive sailors are expected to join , don’t miss your chance to challenge the medalists and international Hobie sailors.